Discussion in 'Lexus Lounge' started by krew, Nov 19, 2018. That is just unbelievably awesome. RAL and Ian Schmidt like this. 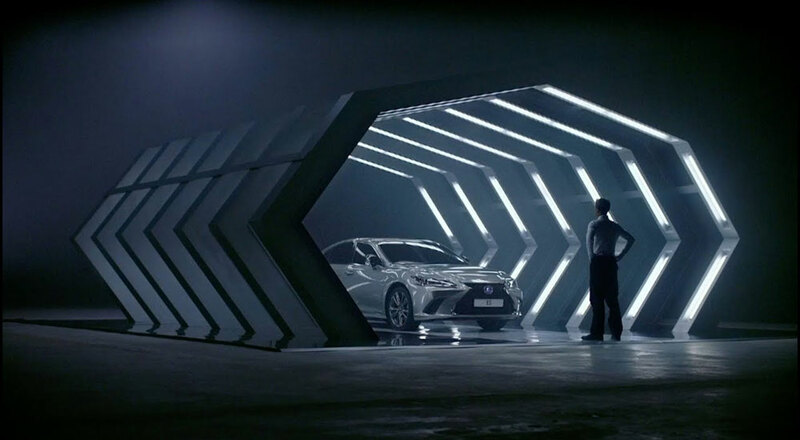 There is certainly something magical about the way Lexus goes about their marketing concepts and allows funding to make them into reality. Wish they'd do that more with the cars and tech, much like what they did with the LC. Hopefully more to come. That would be an award-winning commercial no matter who wrote it. Terrific work by the man who played the inspector, too - you could totally pick up his apprehension even though he wasn't broadcasting it. An artificial intelligence wrote a commercial about a machine who ultimately "bring itself to life" only to prevent its destruction, not driven by intuition but instead by self preservation instinct. I am a bit dumbfounded by why they have chosen to use a screenshot of CSS (a language used to style webpages) for the video. This will immediately scream "we don't know what we are talking about" to anyone even slightly tech minded person that reads "A.I" in the title. When you watch the video it makes sense why CSS is included (being a central part of the pages that the A.I. supposedly is fed), but I bet a lot of potential viewers have dismissed it simply because of this choice. Agree, made no sense to me. And to feature it on the screenshot! I am a bit dumbfounded by why they have chosen to use a screenshot of CSS (a language used to style webpages) for the video. Been there, done that. It's called "Do YOU want to explain to upper management that showing actual source code from your company's most prized IP in a promo video isn't actually going to enable all your competitors to copy and one-up what you do? No, you f***ing don't." This is why the bangin' Ludacris intro video to Madden NFL 2000 features source code for the Windows program used to lay out the UI elements, rather than a single character from the actual game code. Brilliant, makes total sense now. Your post should be the disclaimer at the bottom of the screen.